Oprah Winfrey says she is "not running" for president right now, but she has not ruled it out in private conversations, according to three confidants who spoke with me last week. That's one of the reasons why this chatter about "Oprah 2020" isn't going away, despite her carefully-worded remarks downplaying interest in a run. Another reason why the idea is staying alive? President Trump is talking about it. On Sunday night he responded angrily to her "60 Minutes" story about Michigan voters. Trump said he hopes she does run -- even though multiple polls show she would defeat him in a hypothetical match-up. "Hope Oprah runs so she can be exposed and defeated just like all of the others!" he tweeted on Sunday. So you're probably wondering: Is she running? Like any number of other maybe-candidates, she says she is not. Last week, Winfrey gave her most definitive statement to date: "I am not running for president of the United States." In other recent appearances, she has said campaigning is "not for me" and it's "not something that interests me." Journalists are professional skeptics. So let me just point out: She has also left wiggle room in some of her answers. And she has acknowledged that people have been calling her and offering to help with a bid. For example, when I was doing some reporting on this subject last week, Winfrey's spokeswoman gave me a nuanced statement: "There are no plans in the works for her to run." "No plans." -- That's politico speak. When I tweeted last week that Winfrey wants to seriously tamp down speculation about 2020, but hasn't ruled it out entirely, Politico's Gabriel Debenedetti responded, "This tweet could be written about roughly 6 senators, one former vice president, a handful of governors." And that's precisely the point. Lots of people may or may not be in the Democratic primary race two years from now. It's a wide-open field, which is partly why there's so much discussion about unconventional candidates like Winfrey. News coverage obviously plays a role in this process. Journalists, myself included, wrote a bunch of stories about Winfrey after she lit up the Golden Globes in January with a rousing message about the #MeToo movement. At the time, three of Winfrey's friends told me she was actively thinking about running. The 2020 buzz spurred excitement, backlash, and a backlash to the backlash -- spurring even more stories. News outlets started including Winfrey's name in prospective 2020 polls. A recent CNN poll found that Trump trailed former Vice President Joe Biden, Sen. Bernie Sanders, and Winfrey in hypothetical match-ups. So there's voter speculation. There's media attention. But there are many other reasons why this Winfrey idea is staying alive. A big one: Some people in her orbit want it to stay alive. My story last week cited three "confidants" (they insisted on anonymity) who said she has not entirely ruled out the idea. But at the same time, two of the sources said she is not encouraging the speculation or taking steps to start a campaign. One of the sources put it this way: She wants to be "respectful" of the friends and business associates who have been coming to her and talking up the idea. She understands where they're coming from. Winfrey, who endorsed Hillary Clinton in 2016, has been troubled, even horrified, by some of Trump's actions in office, and doesn't want to see him re-elected. But at the same time, she has said in multiple interviews that holding high office is "not in my DNA." "It's just not in her bones," one of her confidants said to me last week. Could that change? Well, Barack Obama very publicly pledged to serve a full term as a U.S. Senator, then changed his mind and decided to run for president. 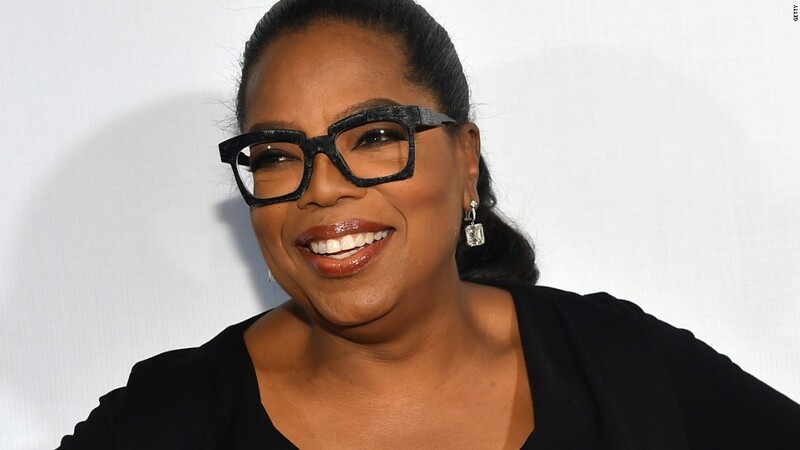 Gayle King, one of the people who has been urging Winfrey to think about running, said on "CBS This Morning" last month, "I also know that, after years of watching the Oprah show, you always have the right to change your mind." That's another one of the reasons why this idea isn't fading away. But Winfrey's public comments about not feeling it have to be factored in. "I am actually humbled by the fact that people think that I could be a leader of the free world, but it's just not in my spirit," she said in the new interview with CBS. The CBS factor is important to understand. Both Winfrey and King work for CBS. Winfrey is a special correspondent on "60 Minutes" while King is a co-host of the morning show. If Winfrey ever takes concrete steps to run for office, she'd have to step away from "60 Minutes." Notably, "CBS This Morning" didn't mention Trump's tweet on Monday morning, while its rival morning shows did. Trump's tweet marks an official turn against Winfrey. In the past he has called her a friend and said "I love Oprah." Now he's calling her "very insecure." It just so happens that Trump's perceived insecurities were a major topic of cable news coverage on Sunday. The president has a history of projecting criticism of him onto his rivals. And his tweet certainly renewed the 2020 talk. Winfrey's name was trending on Twitter overnight. A spokeswoman for Winfrey had no immediate comment on the presidential slam.